Newcastle yesterday and London today. “Be clear on what you will or will not do for small business” and “we all have our personal anxieties but it is what happens to consumers that matter” and other great bits of advice. I need a new notebook! 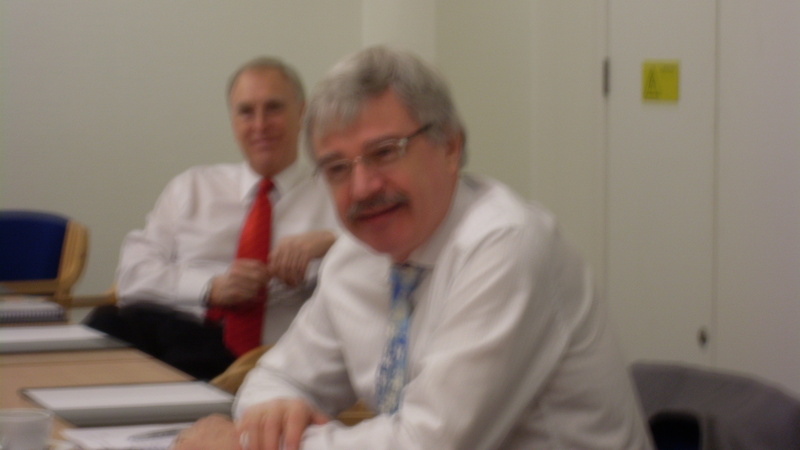 First meeting of the new Board today – wonderful, ambitious and impressive set of people. I have given an initial report back to the Chief Execs at PW, eW and NCC. Genuinely felt like a historic event – and to prove it, here is a mugshot of the Chair, Larry Whitty! 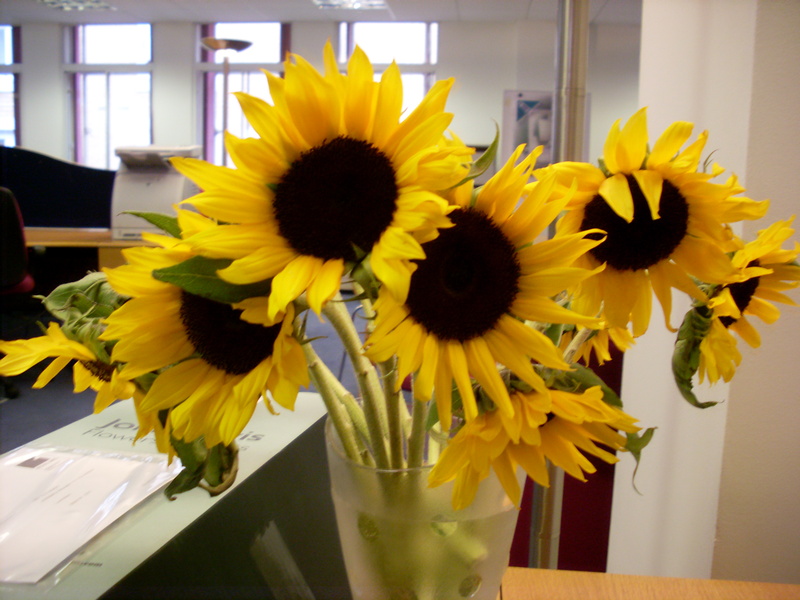 Thanks to Harriet, and all at the Fairtrade Foundation for the lovely sunflowers they sent for me in the new job! just uplifting getting round, talking and above all, listening. Favourite piece of advice to date “don’t ignore anything”. Bournemouth – thank you. Cardiff – the merger in a microcosm with three great and proud teams, each with own culture and own hopes and concerns. 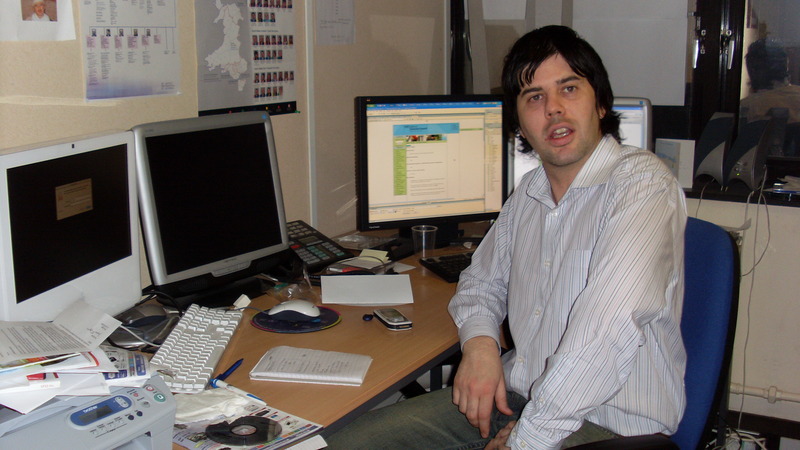 Joe is the man with the screens – how many does a consumer champion need?! Day 5 and we’ve put together draft papers for the first ‘new NCC’ Board meeting, end of the month. I hope they are all announced and appointed before the day we have set! I fulfilled a commitment to speak at a Demos event on disability, personal budgets and public services. Charlie Leadbeater, who is writing a forthcoming (April) consumer participation book, We-think, launched his pamphlet on passing budgets over to consumers in public services. It was genuinely moving to hear people’s stories. One older woman had a care plan that involved a carer getting her up and dressing her each day. But when she set her own care plan, she said “I don’t want to get dressed. I have arthritis and it hurts like hell.” What she really wanted was to be able to see the birds in her garden. The carers had no time to feed them before. Now she stayed in tracksuits or pyjamas, they did. She could see the birds! Phil Bentley from British Gas rang to say hello, and prices are rising. The energywatch team has been fantastic to watch at work campaigning. Day 1 – new office, new organisation and a few butterflies. Meeting those working on the transition in the morning and one to one time with each afternoon. My two first goals are a) to build the transition team, and get the resources in place, to tackle the work and b) to get out and listen to staff across the three organisations. meanwhile, energy prices up and probably post office numbers down.